This relationship between return and opportunity cost is second nature for a successful business owner. When Ray Kroc was transforming the McDonald's hamburger chain into the behemoth it is today, he understood that trade-offs had to be made when it came to menu items, quality of kitchen equipment, franchise arrangements, issuing stock to the public, and much more. As a new investor, training yourself to view the world through that same lens of opportunity cost is one of the most important things you can do to help grow your net worth, become financially independent, and start generating passive income. But how, exactly, do you apply it to your investments? Here are a few ways. If two investments generate the same return, but one requires you to tie up your money for 3 years and one requires you to tie up your money for 10 years, one may be more attractive than the other depending on your outlook for the economy and your personal finances. If you think interest rates are going to fall, the 10-year investment is a better choice because you can earn returns that otherwise might not be available in the future. If you think interest rates are going to rise, you may want to select the 3-year investment because it will free up your capital sooner to reinvest in something else. The biggest opportunity cost when it comes to liquidity has to do with the chance that you might miss a very good investment because you can't get your hands on your money. 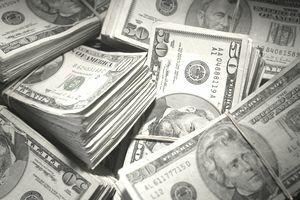 Some investors and companies, such as Warren Buffett and his holding company Berkshire Hathaway, are famous for hoarding large amounts of excess cash to take advantage of opportunities quickly. As of October 2018, Berkshire Hathaway had in excess of $110 billion in cash reserves on the balance sheet! If the world fell apart, it would be able to write checks quickly to buy distressed assets. That is a strategy you see often among value investors. Money is only worth what it can do for you. If you don't cash it in for goods or services, or donate it to a charity that can do so, it is effectively worthless. That leaves the interesting question: When is it time to spend money, rather than put it to work in assets that generate dividends, interest, or rents? This is an intensely personal question that can't be answered by anyone else. It comes down to what you value. Would you rather have a new car or financial freedom? Would you rather have cashmere pillows or a diamond watch? Would you rather give more money to charity or help your grandchildren through college? It's a question of values, and no one else can define your values for you. This is really the process of being aware of your decisions, and of making sure that you don't sacrifice what you really want for what you want right now. It isn't limited to your investments or pocketbook--a medical student has to decide if he wants to party or study, putting off the benefit of enjoyment today for a future he really wants. Each asset class in your asset allocation has its own opportunity cost. Historically, investing in stocks has generated a higher return than investing in bonds but the opportunity cost manifests itself as more violent price fluctuations. Bonds, on the other hand, tend to be more stable in the day-to-day market but the opportunity cost is lower returns and the risk that the inflation rate rises, causing your bonds to lose real purchasing power. No matter what you do, there is no "perfect" investment. Everything has a trade-off, even down to the individual investments you choose.